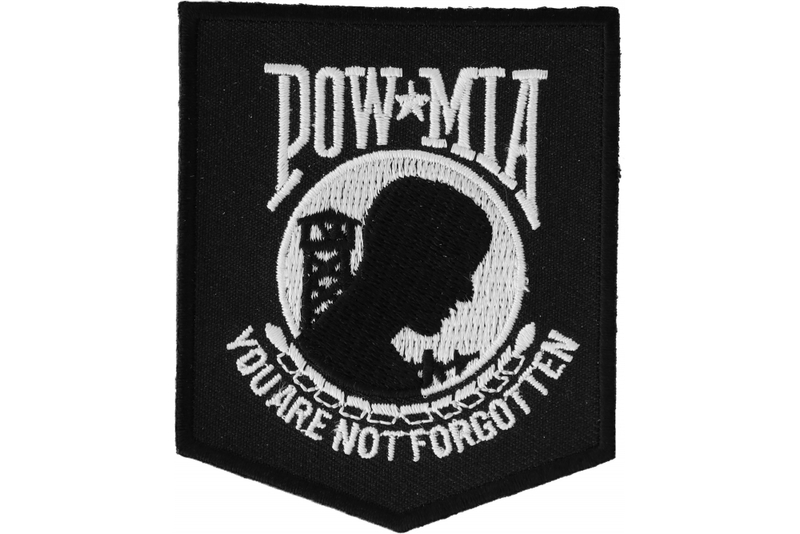 This is the POW MIA (Prisoner of War, Missing in Action) Patch featuring white embroidery on a black background. The patch features a symbol of soldier facing side ways with his head slightly tilted over a prisoner of war camp tower. 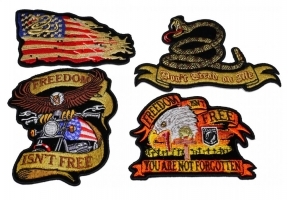 The patch measures a perfect 2.5 x 3 inches and is ideal for your biker vest or jacket, as well as other biker accessories. You can iron on the patch to denim materials or sew them on to leather. There is plastic backing on the backside of the patch. 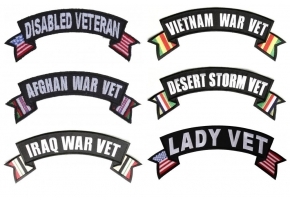 These patches do not have hook backing, if you are interested in hook backings we do sell peel and stick hook backing that works very well on patches with plastic backing. 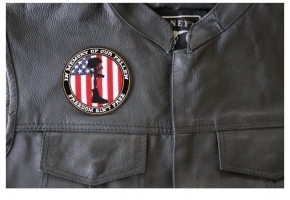 You can also find various different color combinations of this POW MIA Patch at our online store. This is one of those amazing patches which can actually kill everyone just by the sight of it and when someone is wearing it and flaunting around then they are definitely going to look like a diva. 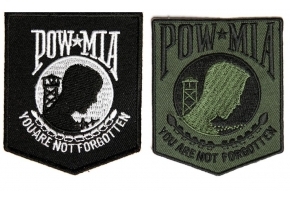 POW MIA Patch Black White is available in several colors and a lot of people are going gaga over the colors they are being manufactured in. 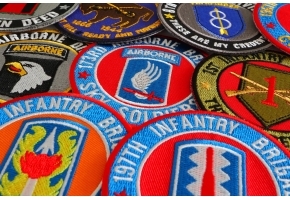 The range of colors and also the embroidery makes this patch an amazing one. 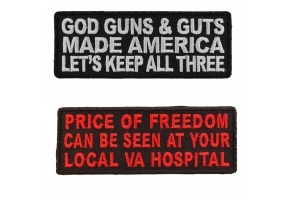 Get this patch stitched either on the back of your jacket or the sleeves to make it a perfect one.